An example of the publicity we attract can be seen on the banner of the 10th Edition of Mega Cargo Show 2018 which took place from 23-24 January 2018 in Mumbai (above photo taken by Sanju Mani of Goodrich – PCN Members in Kazakhstan and Afghanistan). 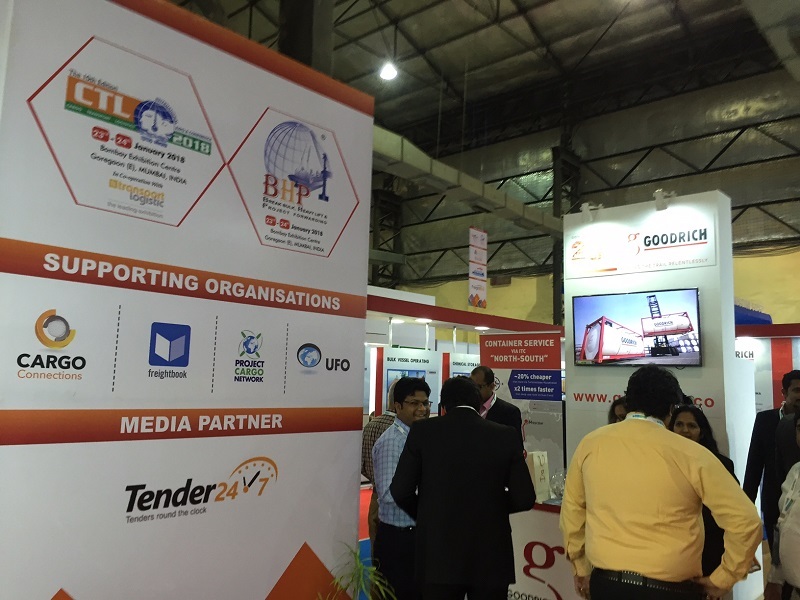 The event regularly attracts over 3500 trade visitors, 500 delegates and over 100 exhibitors from India and abroad and provides both a national and global perspective on the trends and issues in the sector and future direction. The full article shows a handful of the collaborations that we secured during January – click the thumbnails to see details of each exhibition and click here to see a full list with links to each event’s website.